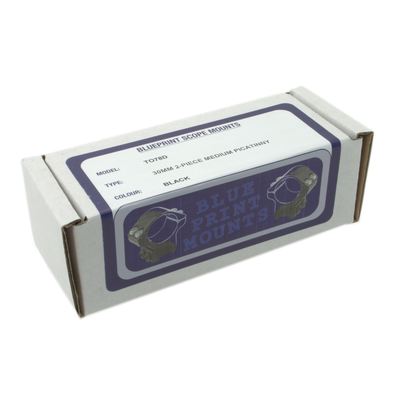 Made exclusively in the UK by Sportsmatch. 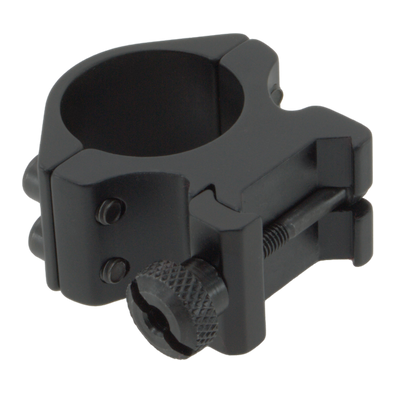 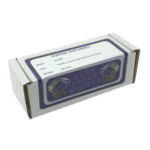 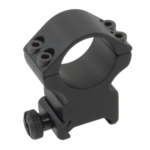 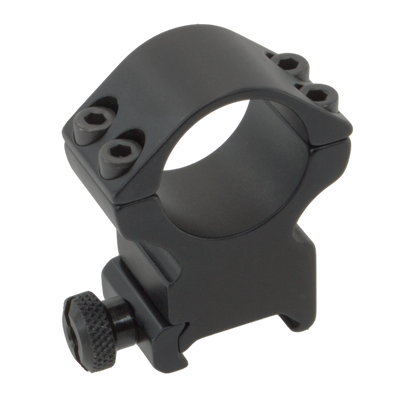 These double-screw mounts are available in low, medium and high hights for 1″ or 30 mm rifle scopes. 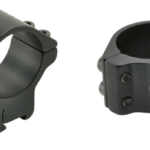 They have a measured variance of .001 (1 micron). 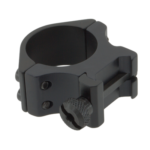 For 9.5 – 11.5mm (3/8″) dovetails, commonly used on rimfire and airguns the screws are Teflon coated (NITROTECH) rather than blackened and are more corrosion resistant while the side screws are a tidy mushroom design with a thrust washer. 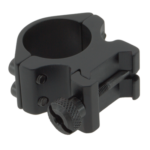 For Picatinny rails, the rings include a hearty single nut with cross slot. 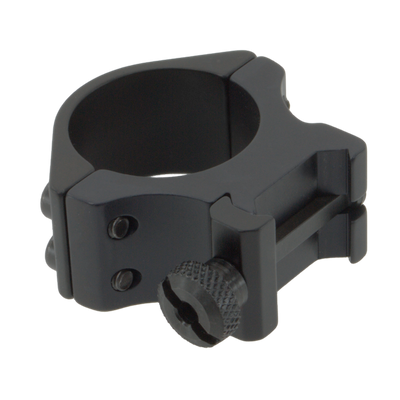 The 1″ scope tube version has a round cross bolt design while the 30mm scope tube version has a beefy square cross bolt to prevent movement during recoil.